Your pet is part of your family. When you insure with Bow Wow Meow, they become a part of our family too. 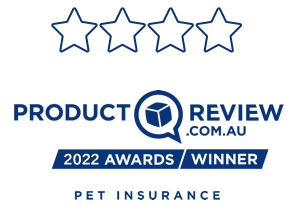 We think that's why we’re Australia’s number one rated pet insurer on Product Review, and were named their Pet Insurer of the Year for 2019. We're more than insurers, we're pet people too. We understand that different pets have different needs. That's why we've introduced our new Indoor Cat plan, which offers cover tailored specifically for cats that stay indoors. We are genuinely committed to help you be the best pet parent, especially in times of stress. Affordable pet insurance that you can rely on. There are hundreds of dog and cat breeds in Australia. Over time, many breeds have developed specific health conditions that they are more likely to suffer from. At Bow Wow Meow, we do not exclude cover for any hereditary breed conditions (excluding pre-existing conditions). We do, however, think it is important to be aware of the conditions that your pet may develop, to help you make an informed decision about your pet insurance cover. What do you need to be aware of for your breed? Please note that as of 5 December 2018, we have introduced a new range of pet insurance plans. 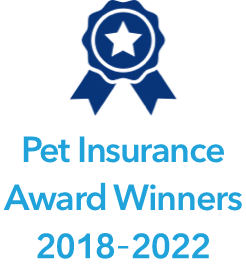 Our previous plans are no longer available for new policies, but will be continued for existing policies. A range of flexible cover options. No excess, which means even smaller vet bills are covered. Streamlined claims process, saving you the ‘claims run around’. Optional Routine Care cover on all plans. 95% of claims processed within 5-10 days.  Winner of Product Review Best Pet Insurance for 2019. When you get a quote, we highlight the key conditions that you need to cover for your pet's breed, so you can be sure to get the right cover. How much could I save on my vet bills with pet insurance? #Based on maximum Bow Wow Meow claims evidenced between 01/10/2017 to 30/09/2018 for a particular species and breed. *Based on a benefit rate of 80%. This is the calculated amount saved after the co-payment amount (20% of the vet bill in this case) has been deducted. As caring pet parents, you value your pet’s health and want to ensure they are always well looked after. The fact is that, no matter how well you look after them, most pets will require veterinary treatment at some stage. The good news is that vet care has advanced significantly over the past decade. Unfortunately, the cost of vet treatment has also risen significantly and there is no Medicare for pets, so when anything happens to your furry family members, you will need to foot the bill. Vet bills for injuries or illnesses can quickly add up to thousands of dollars. Pet insurance is a way to protect both you and your pet from unexpected vet bills. There is no need for your pet to suffer if veterinary care is too pricey, and no difficult decisions for you to make other than getting them the best possible care. Bow Wow Meow is focussed entirely on you and your pets. We are not some big, faceless insurance company, we are a team of Aussie pet lovers. Yet, as we are underwritten by Australia’s largest pet insurer, we are just as secure as any of our competitors. We are here for you, and are determined to help you when you need it most. 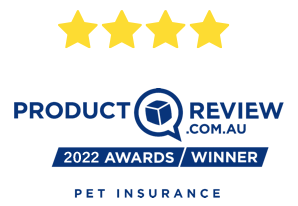 That is why our policy holders have rated us the #1 Pet Insurer in Australia on independent consumer site Product Review for the past three years. 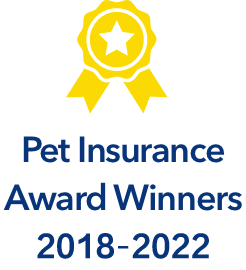 We are very proud to have been awarded Best Pet Insurer by Product Review in 2017 and again in 2018/2019! Our new improved pet portal allows you to submit claims and manage your policy quickly and easily online. We have also recently introduced our new low effort claims service, which means that, if we require further information after you submit a claim, we will now correspond directly with your vet. This saves you having to worry about your claim and chasing up your vet, and will make claiming a lot smoother and easier. We have listened to our customers, and know you prefer to get money back for each eligible vet bill. We have therefore removed the per-condition excess from our new range of policies. This translates into more rebates for our customers for even the smallest vet bills! Our new Indoor Cat plan offers a specific policy for the needs of indoor cats. Our new Ultimate Care plan includes $1,000 per year towards dental illness and the option to get covered for alternative care.  Once your pet is insured, we will cover all chronic conditions (excluding pre-existing conditions) for the life of the pet up to the annual benefit limit each year, provided you renew your policy each year without any break, lapse or change in the level of cover. You can apply to have any pre-existing condition exclusions reviewed after 18 months of continuous cover, provided your vet has verified that your pet has been free of any clinical signs or recurrence of the pre-existing condition. Bringing home and looking after a new puppy can be a big challenge! useful information, that has been developed by pet professionals and puppy trainers. Giving a dog a second chance in life is a wonderful experience. This guide will make the entry of your newly adopted dog into your life and your home as easy as possible as we have all the information for rescuse dogs. His dad, Pip Allen, took him to a number of vets who advised that he needed surgery. Since then he has had a fair bit of work, and Pip is thankful that Bow Wow Meow helped look after everything. He is grateful to the Bow Wow team for going above and beyond, and helping Odin get the specialist support he needed. Odin is now, thankfully, back to being an “unstoppable crazy monster”!